New TVs are a classic tradition at CES. A lot of the big and small brands take the time to announce new sets with some feature they hope will entice consumers to buy one. So how does a 4K TV with Amazon's Fire TV built in sound? If that interests you then Seiki, Westinghouse, and Element have you covered. The new televisions will come in four sizes: 43", 50", 55", and 65" — each one having a 4K panel. 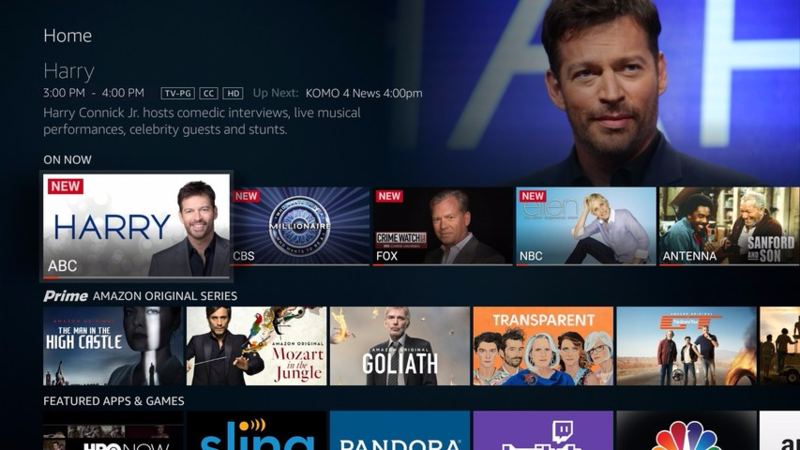 All of them will be the first ones to include the latest Fire TV interface, including support for OTA broadcasts, simple input setup, and easy component switching. The remotes will come with Alexa voice-control support, allowing for content searches, input controls, and access to Alexa's skills. Centralized management of multiple smarthome devices will be supported, too. Each TV has 3GB of RAM and 16GB of storage for apps and content. Availability is set to come sometime later this year, with Amazon and "other authorized retailers" being the places to buy one. Pricing will be announced at some point closer to launch. LAS VEGAS, Jan. 3, 2017 /PRNewswire/ -- (2017 CES) - Seiki (www.seiki.com), Westinghouse Electronics (westinghouseelectronics.com) and Element Electronics (www.elementelectronics.com), leading 4K Ultra HD display brands, today announced at CES 2017 a new line of 4K Ultra HD Smart TVs – Amazon Fire TV Edition, featuring the Amazon Fire TV experience and support for a voice remote with Amazon Alexa. The new Fire TV Edition TVs simplify viewing for customers by delivering a great selection of streaming and over-the-air content in one place, including access to more than 7,000 channels, apps, and Alexa skills and live TV broadcasts when used with a separate HD antenna. An on-screen programming guide makes finding what to watch easy, and with the included voice remote with Alexa, customers can use their voice to launch apps, search content, play music, control smart home devices and more. Seiki and Westinghouse will demonstrate the new 4K Ultra HD Smart TVs – Amazon Fire TV Edition for the first time in Las Vegas at CES 2017 Unveiled on Jan. 3. "Smart TVs can be cumbersome and difficult to use," said Sung Choi, vice president of marketing, Tongfang Global. "Our new line of 4K Ultra HD Smart TVs – Amazon Fire TV Edition represent an elevated customer experience powered by the highest performance processors in the industry, a unique voice-controlled remote control, and Amazon's cinematic viewing experience. With Amazon Fire TV built in and a voice remote with Alexa, access to movies, videos, music, gaming, and more is simple, easy, and intuitive." "Teaming up with brands including Seiki, Westinghouse and Element on a new range of smart TVs allows Amazon to deliver an experience that's familiar and easy to use," said Marc Whitten, vice president, Amazon Fire TV. "Fire TV Edition offers access to a great selection of streaming and over-the-air TV and movies, Alexa for easy voice search and content control, and the many other features and experiences customers have come to expect from the best-selling line of Amazon Fire TV products." Sizes: 43", 50", 55" and 65"
Amazon Prime customers get unlimited access to Prime Video, featuring thousands of movies and TV episodes at no additional cost to their membership. Plus, with Amazon Channels, Prime members can now get HBO, SHOWTIME, STARZ, PBS KIDS, and over 100 more services. They only pay for the channels they want—no cable required, no additional apps to download, and easy online cancellation. The Seiki, Westinghouse and Element 4K Ultra HD Smart TV – Fire TV Edition models will be available later this year on Amazon.com and at authorized retailers nationwide. The manufacturer's suggested retail price will be announced closer to retail availability.